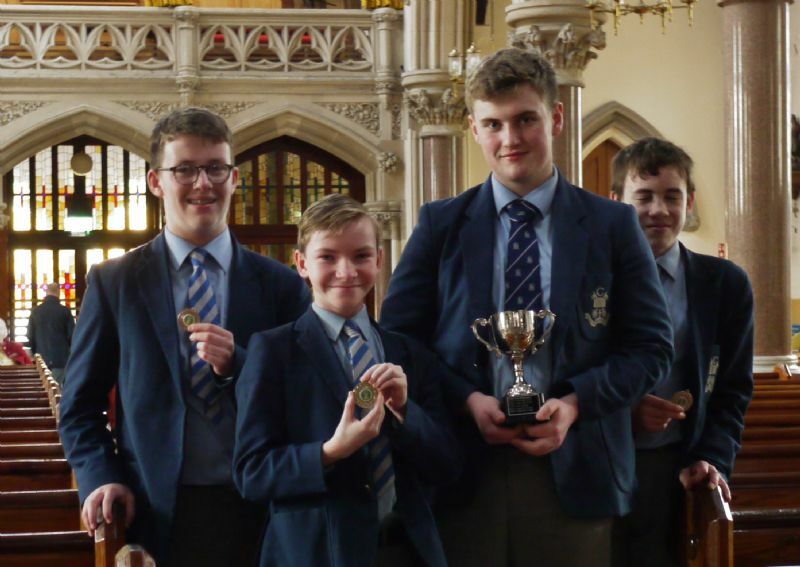 Eoin Cassidy, the winner of the Intermediate Class was awarded performance opportunities (recitals) in St Peter’s Cathedral, Belfast, St Anne’s Cathedral, Belfast and St Patrick’s Church of Ireland Cathedral, Armagh. The Organ Competition was adjudicated by Patrice Keegan, Director of Music in Holy Cross Church, Dundrum, Dublin. Ms Keegan is one of Ireland’s foremost organists, having obtained First Class Honours in her primary degree and graduating with Honours in her Master’s Degree in Organ Performance. Currently studying for her Doctorate, she has performed solo recitals in the Dun Laoghaire Summer Recital Series, in Dublin’s National Concert Hall and in Galway Cathedral. The Newry Musical Feis Organ Competition is one of only three Feiseanna-based organ competitions in Ireland and is unique in offering its first prize-winner multiple invaluable performance opportunities in high-profile venues.